At the end of September, Representatives Ro Khanna (D-CA), Adam Smith (D-WA), Mark Pocan (D-WI), and Thomas Massie (R-KY) introduced bipartisan legislation to end U.S. involvement in the war in Yemen. This month, as world leaders seek information on missing Washington Post journalist and Saudi dissident Jamal Khashoggi, the issue of U.S. arms sales to Saudi Arabia have taken on a more urgent tone. The civil war in Yemen began in 2015, one year after the Houthis, a Shia rebel group, captured Yemen’s capital and forced President Abdrabbuh Mansur Hadi to flee to Saudi Arabia. In 2015, backed by Saudi Arabia, Hadi returned to Yemen in order to fight back for the presidency. Saudi Arabia, an important U.S. ally, now leads a coalition of mostly-Arab states working to defeat the Houthis and reinstate Hadi as president. That coalition is militarily by the U.S., U.K., France, and other developed nations. U.S. weapons sales, intelligence, and even mid-air refueling, have, and continue to, aid Saudi Arabia in terrorizing civilians with impunity. Over the past two years, the conflict has escalated dramatically, and earlier this year, the U.N. labeled Yemen 2018’s worst humanitarian crisis. While the UN has accused both sides of committing war crimes by intentionally targeting civilians, due to their wealth and backing by foreign powers, the Saudi-led coalition has caused a majority of the damage, including by blockading ports and preventing aid, oil, and supplies from entering the country. This siege is especially dangerous in a country where more than 50% of hospitals have shut down, and 22.2 million people – or 75% of the population – are reliant on humanitarian aid. U.S. support for the Saudi-led coalition has, thus far, been unconditional, allowing Saudi Arabia to continue targeting civilians in Yemen. Indeed, in August, Saudi Arabia dropped a bomb on a heavily-populated market, killing 51 people, including 40 school children, and injuring 79 others. The bomb? Produced by U.S. defense contractor Lockheed Martin and sold in a State Department-sanctioned arms sale. Enough is enough. House Concurrent Resolution 138 invokes the War Powers Resolution, which states that only Congress has the authority to declare war. Since U.S. involvement in the crisis is tantamount to waging war in Yemen, the co-sponsors of the resolution argue that it is time for Congress to vote on whether or not America should continue to aid Saudi Arabia in fighting this war. Similar resolutions have been introduced in the past. In 2017, a House resolution that also invoked the War Powers Resolution to pull the U.S. out of Yemen, but was never voted on. 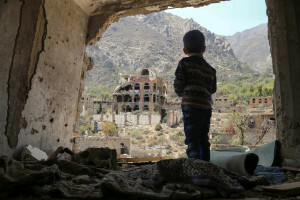 In March of this year, Senators Mike Lee (R-UT) and Bernie Sanders (I-VT) introduced a resolution to end the U.S. role in the war in Yemen – but it failed by a vote of 44-55. Legislators have also tried to stop the U.S. sale of arms to Saudi Arabia; in 2017, 47 Senators voted to stop a massive weapons sale, falling just short of the threshold to halt the sale. America has been complicit in war crimes for too long, and it’s time to do something about the crisis in Yemen. Call your Representatives at 1-833-STOP-WAR and urge them to support H.Con.Res. 138. 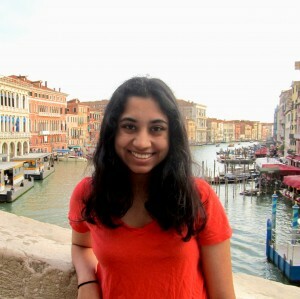 Amala Karri is a rising senior at Hunter College High School in New York City. She is currently serving as the National Policy Coordinator for STAND.